Restorative Justice (RJ) has ancient roots going back centuries and have been continually practiced by indigenous cultures. Westerners stopped using RJ around 1000 years ago after the Norman Conquest when the Kings took over personal conflicts between individuals and groups (Van Ness, 1986). Today the government controls how conflicts are addressed through the mainstream justice system. In the 1950s psychologist, Albert Eglash first used the words “restorative justice,” which led to a renewed interest for a more common sense approach to crime in the 1970s (Walker, Rodgers & Umbreith, 2018). The value of restoring relationships and repairing both physical and emotional damage after wrongdoing was recognized. In the past 40 years the modern RJ movement has developed into a solid field of study and a worldwide movement. Modern RJ has both a philosophy and practices. Basically the philosophy is that positive values drive human interactions, everyone is entitled to participate in discussions about wrongdoing and social injustice, and healing should be the most important outcome when someone is harmed. RJ practices recognize these values. This does not mean that bad behavior should be ignored, but that we should first show care and concern for healing instead of focusing on blaming and punishing wrongdoers. This is a systemic problem. In the United States for example the cost of the corrections system that imprisons people is allocated at least $80 billion to an estimated trillion dollars annually (Ferner, 2016), while the 2018 funding for victims nationwide by the US Justice Department is only $3.4 billion (U.S. Department of Justice). Who has a stake in this situation? What is the appropriate process to involve stakeholders in an effort to put things right? (p. 38, The Little Book of Restorative Justice, Howard Zehr). Elementary school in the United States is typically for children aged 5 through 12 years. To introduce peace circles in an elementary class, begin by asking students to sit in a circle with no barriers between them blocking their views of each other. You are going to show them what a peacemaking circle is and at the same time explain it to them. Make sure you look at each child shaking your head up and down indicating yes, and listen for them to say yes or nod back at you. You want them to indicate their agreement that they won’t interrupt and will wait their turn to speak. It is important to share the facilitation duties even with the students you think may be unruly. Having these children especially selected to be the circle facilitator will help them learn to focus and control their behavior. They will model the behavior you want them to have. A classroom could collectively make a talking piece to use in their peace circles— students could decorate a stick with strings and paint, etc. 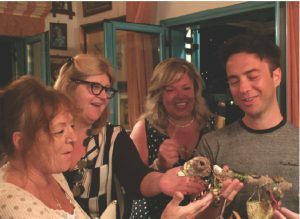 Below is a photo of a talking stick given to Theo Gavrielides, which he is holding, on his birthday in Greece that a group made for him. Good organizations know that conflict can be positive and lead to strengthening relationships. Conflict leads to creatively and stronger people and organizations. If you have aversion and very negative feelings about conflict, please work on feeling whatever it is that you are feeling. Be brave and do not allow yourself to ignore conflict because it is uncomfortable or you feel afraid or fearful about it. It is better to accept, and to teach youth, that conflict happens and it more useful to put energy into finding solutions rather than ignoring or avoiding conflicts. The work you put into discussing conflicts with others and examining it for yourself, can strengthen you and the people you work and live with. Conflict can lead to resiliency and happier relationships. The teacher should begin by telling the students what you especially like about them, e.g., “You are kind and very hard workers.” Think of an example of something especially kind the class did or hard work they did and tell that story, e.g., “This class is full of nice children. You share your books,” etc.,…. You can tell the class that they never have to speak if they don’t want to. You want to always respect each child, have voluntary participation, and allow anyone to pass who does not wish to speak in a circle discussion. For classes that are getting along well and not suffering any conflicts you can ask students: ‘This is such a good class. We rarely have conflicts. What can we do to make sure we continue having this kind of a peaceful class? Go around asking each child and respecting any who wants to pass. Collect all the ideas. You can discuss each ideas as each child makes it in the circle, e.g., Hazel wants us to keep sharing our pencils and papers for students who do not have them. Does everyone agree this is a good idea? For generally minor conflicts typically occurring within the class, e.g. loud talking, late homework or no homework, etc. If you have a conflict, after each child has had the chance to speak in the circle and it comes back to your turn, state what the problem is: e.g. Loud talking during reading time, students not doing homework, etc., you can share it with the children in the circle. Ask: ‘What are ideas do you each have about how we can have a quiet reading time?” “How can we make sure everyone is safe and we use our words and not fists?” “How can we all make sure we do our home work?” Let them to share whatever they think. Ask each child again in the circle. As the suggestions are made it is helpful to have students, or a designated student, writing them down or you write them down. As suggestions are made you can ask the rest of the class what they think of it? You want to get the class’s consensus and have everyone agree on solutions. If you have time you can go around again and ask what ideas they especially like and want to try in the class. If you don’t have time, ask them to think about what they want to do and you will continue discussion on it in another circle. How often should solution-focused peace circles be held in an elementary class? It would best to have a peace circle every day or every few days to check in that everyone is getting along. Or you could have them weekly. And the last choice is to have them when there are conflicts. Having a regular peacemaking circle will help prevent conflicts and keep students cooperative. Regular circles will also teach them the skills they need for managing conflicts when they arise. 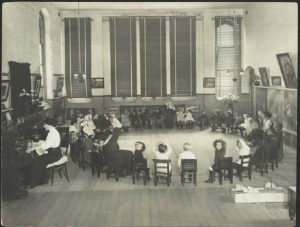 Having a daily and first thing in the morning circle is what Maria Montessori taught and is often done in Montessori classrooms (below photo of a 1900 Montessori circle). Process for specific incidents of wrongdoing, e.g., Billy was hit by Sally. Ask Sally and Billy to both sit next to each other one your right and one on your left. First, complement Sally and Billy for wanting to sit in the peace circle and find a way to make things right. Say: “Wow! It is great you want to make things right. It is great Sally you take responsibility for your actions and that you are willing to listen and find how Sally can repair any harm Billy! Then ask Billy how he felt and what he thought? Then go around the classroom and ask each child to say how they felt when Sally hit Billy, and what they thought. Next ask Billy what would like Sally to do to repair the harm? Repeat whatever Billy says and ask Sally if that is something she can do? After finding something Sally can do for Billy. maybe it is simply an apology, close the circle. Please see the guidelines too that Fredrike Bannink & I prepared (see below for more information on using the guidelines). For disputes use mediation for wrongdoing use restorative facilitation: If the conflict you have is a general dispute between students and there is no clear individual responsible for the harm, or no one has been harmed, you can use solution- focused mediation. Mediation differs from a restorative facilitation. 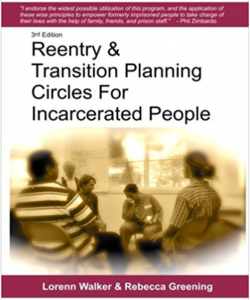 Fredrike Bannink and I offer Solution-Focused Conflict Management and Restoration Circles guidelines: https://www.fredrikebannink.com/bannink/lang/en- en/mediatormediator/facilitator-scriptfacilitator-script/ 2014. The guidelines can be used too if during a mediation process someone takes responsibility for causing harm. You can mediate and then apply a restorative process by using the guidelines, which include the restorative process questions Howard Zehr suggests. Special thank you to Melissa Shapel Hansen a wonderful teacher, mother, and daughter in Washington State. You are a courageous hero who has been a role model and taught many the value and meaning of restorative justice. We are grateful that you asked how RJ could be applied in the classroom, which motivated these suggested guidelines. BIG thank you too to Melissa, and all you teachers, who continually look for ways to improve your classroom management skills. We need more teachers like you who see learning as a lifelong endeavor. We deeply appreciate your hard work and contributions that you make for our students and our community. Please let us know anytime we can be of assistance in your journey. If you are an educator and use these suggestions, we would appreciate any feedback from you on how it went and any recommendations you might have for how we can improve them for others.